Great tool to repair MS Outlook PST file corrupt due to being over-sized, file header corruption and restore all mail items. Stellar Phoenix Outlook PST Recovery is smart and professional software that scans and recovers corrupt or inaccessible Outlook PST file. The software exhibits a simple and user-friendly interface in order to assist even a non-professional computer user. The most attractive feature of Stellar Phoenix Outlook PST Recovery is that it is able to recover email data from PST file even if it is password protected and saves in a new PST file with its original format intact. It performs a deep scan on the corrupt or inaccessible PST file and recovers all crucial data, such as Emails, Attached content, Contacts, Scheduled Tasks, Personalized Calendar and other data, even if deleted. Outlook database corruption may occur due to virus infections, software or hardware errors, abrupt system shutdowns, power failures, storage devise corruptions and other system vulnerabilities. A user cannot avoid such corruptions, as there could be any reason for Outlook PST corruption. However, managing a fresh Outlook data backup can help in preventing data loss. 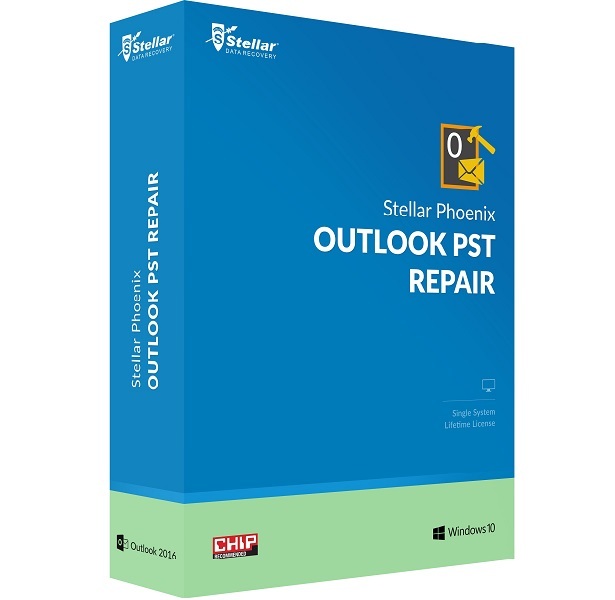 Stellar Phoenix Outlook PST Recovery employs non-destructive algorithmic approach to scan Outlook folders to recover inaccessible data that no longer exists. The scanned result is displayed in a 3-Pane view of the mailbox folders. These mailbox folders contain respective emails and other associated content. You can preview the discovered files and filter the scanned result, in case of selective mailbox data recovery. Securely repairs corrupt Outlook PST files. Restores messages with formatting and properties intact. Restores emails, calendar, contacts, attachments, tasks, notes, and journal. Enhanced preview for calendars, tasks journals, and contacts. Recovers information from password protected PST files. Saves email message as either a MSG, EML, RTF, HTML, and PDF file. Option to arrange and sort scanned emails in the main interface.